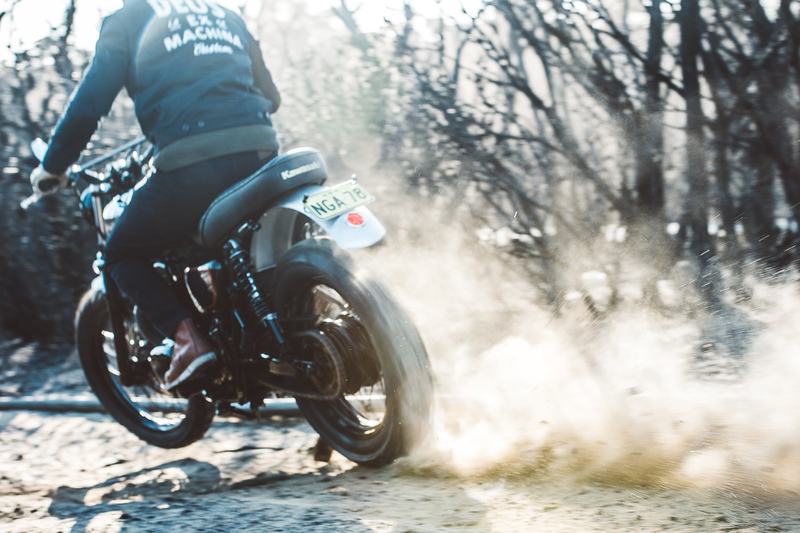 Snap out of the every-day. 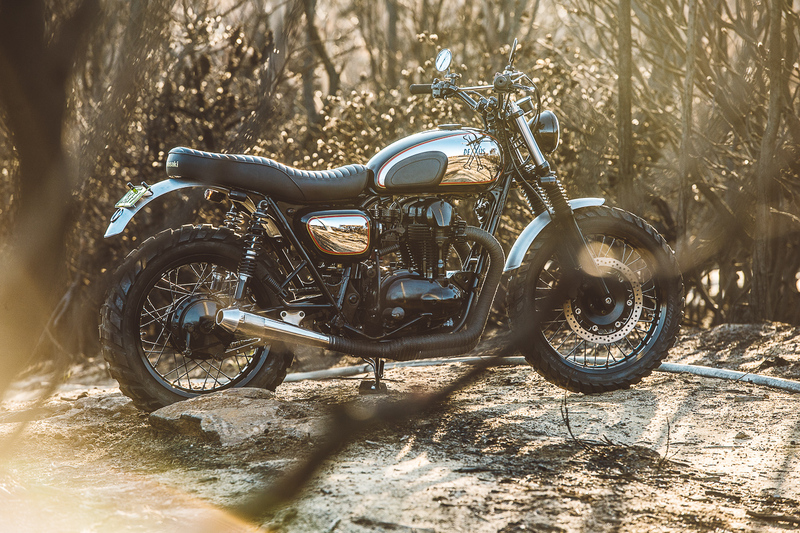 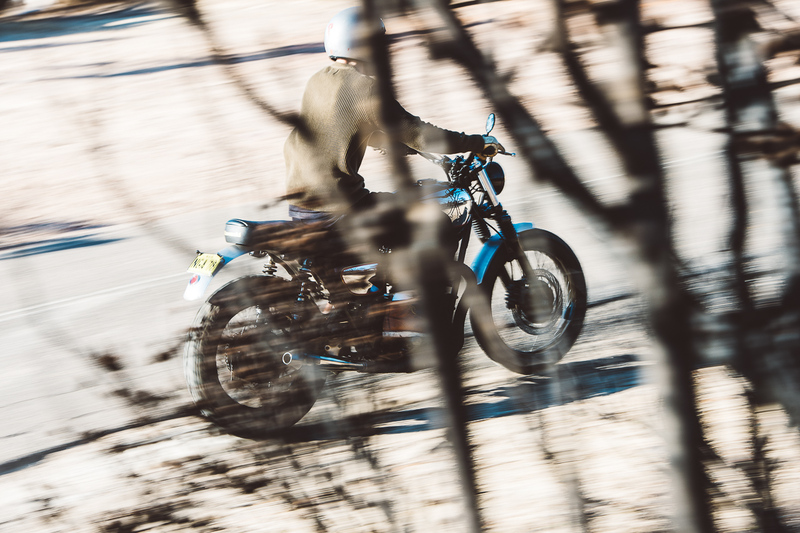 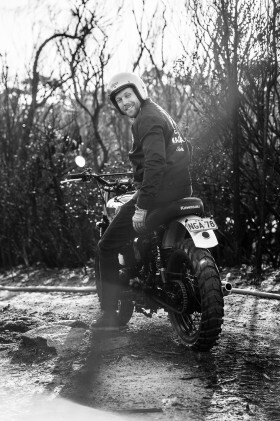 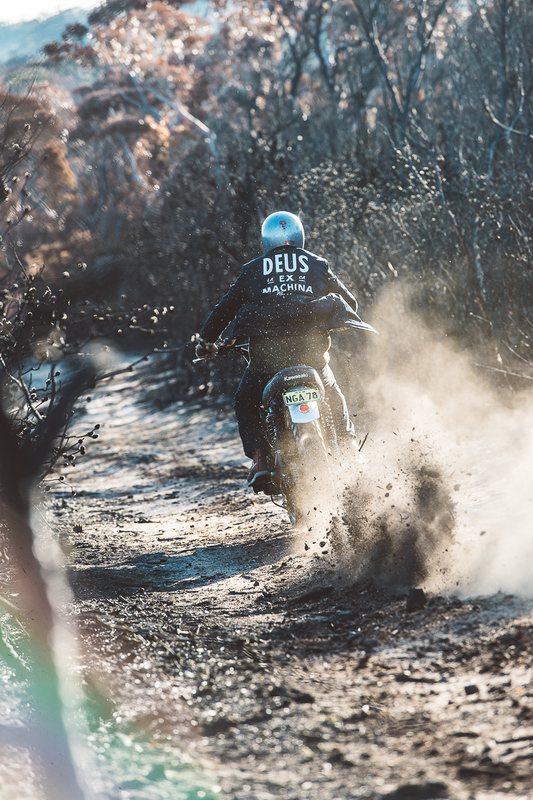 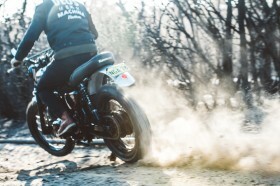 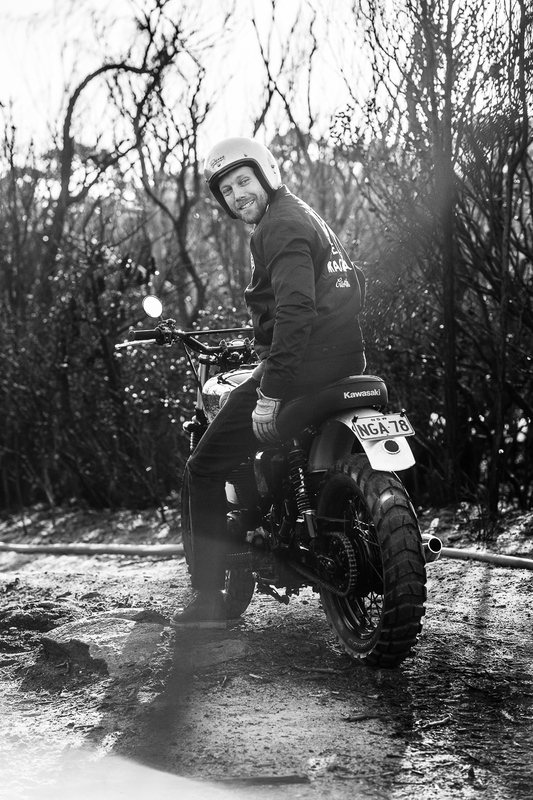 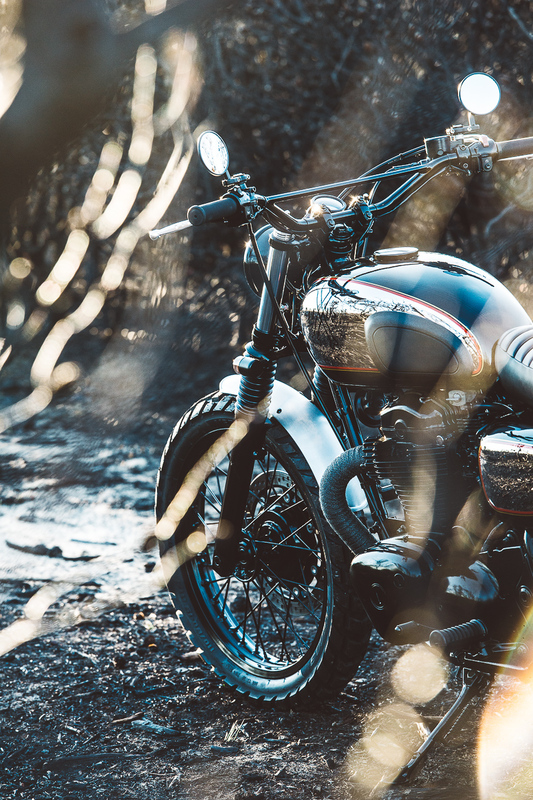 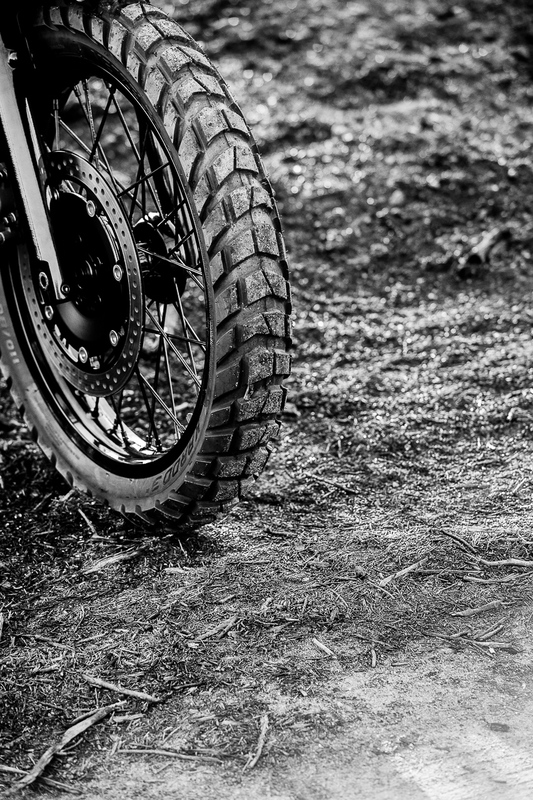 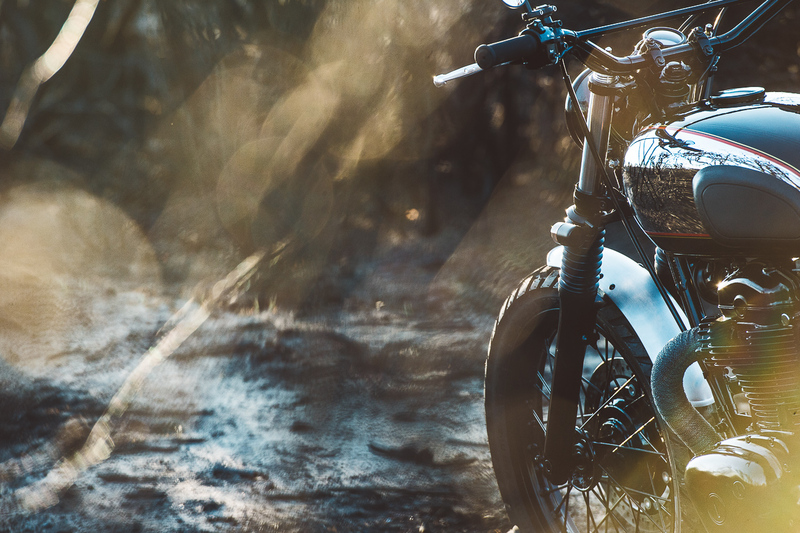 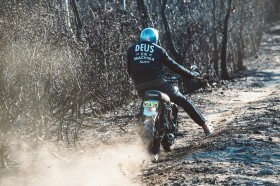 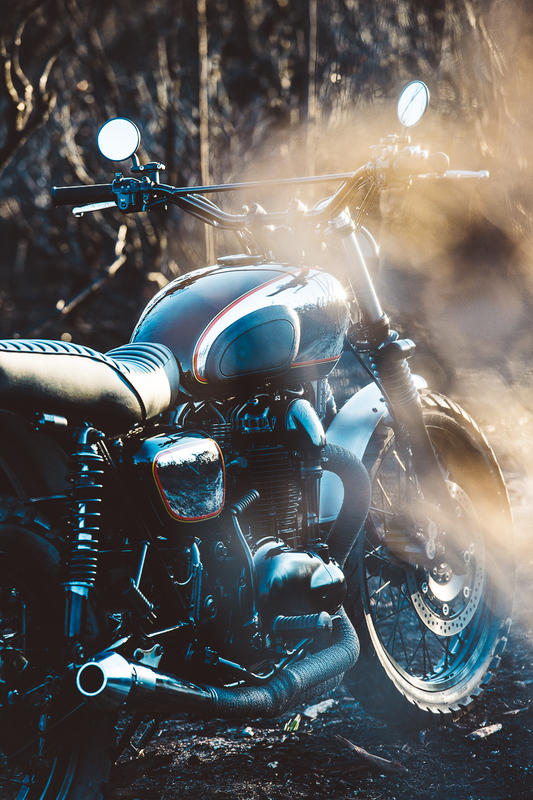 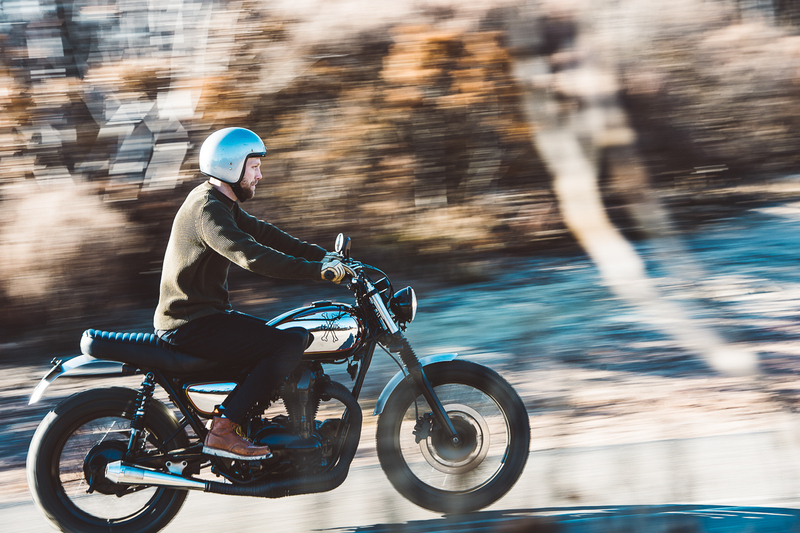 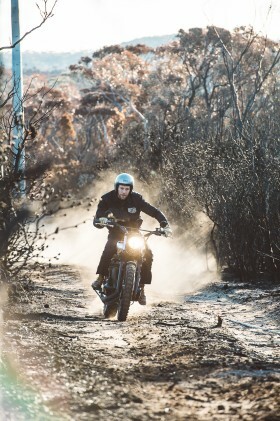 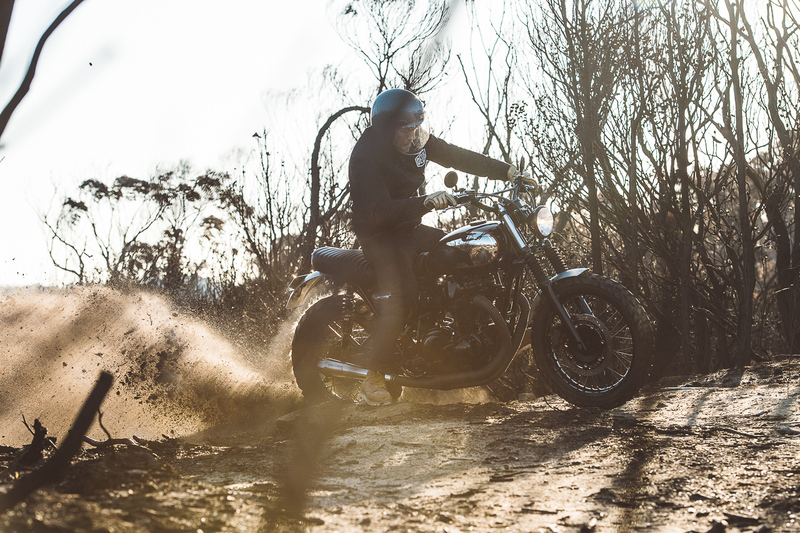 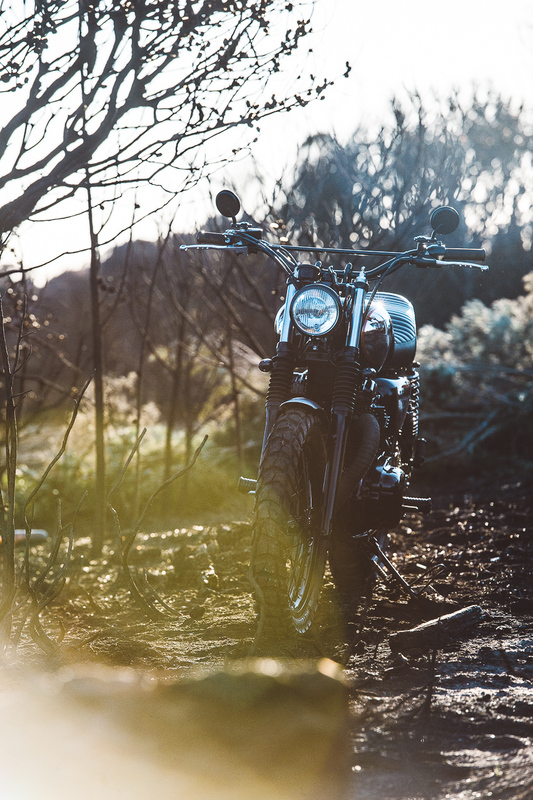 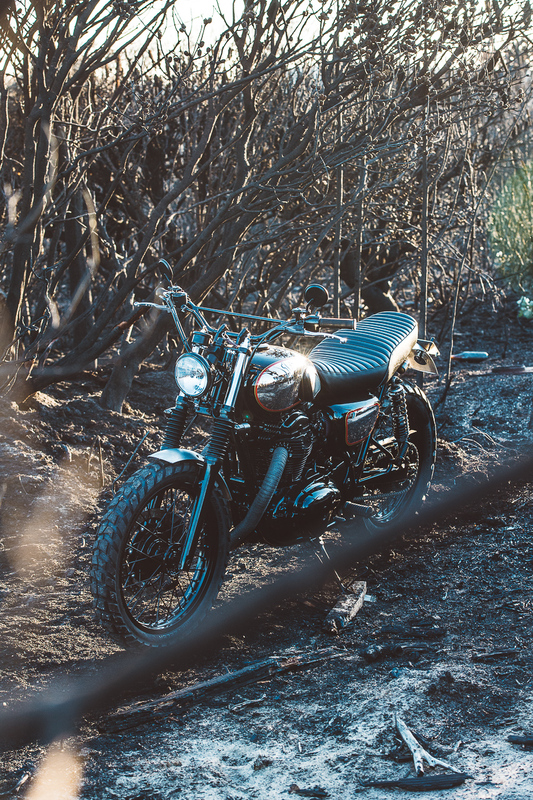 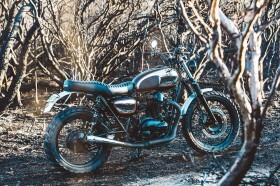 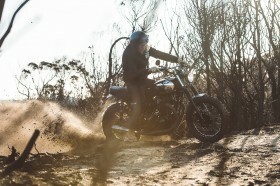 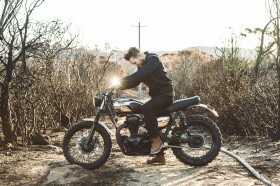 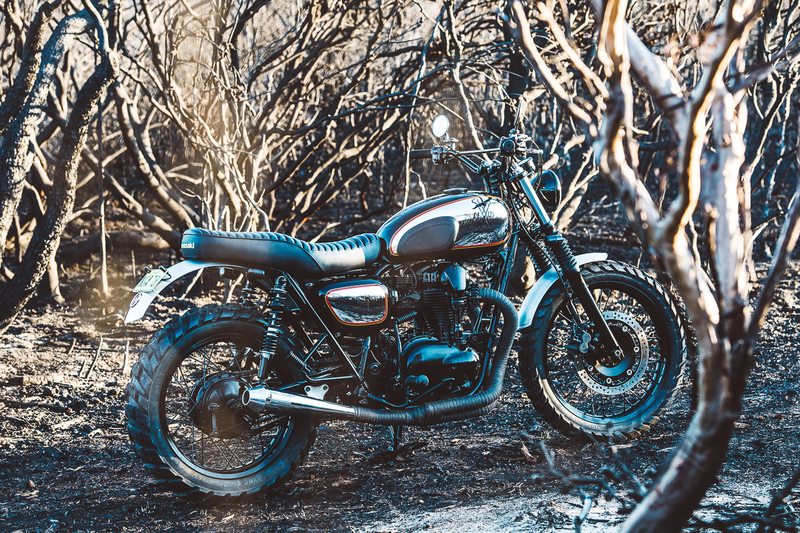 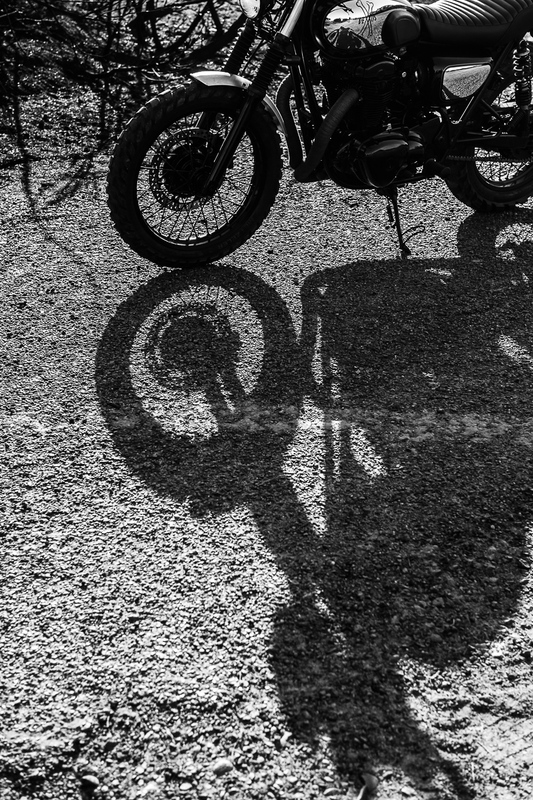 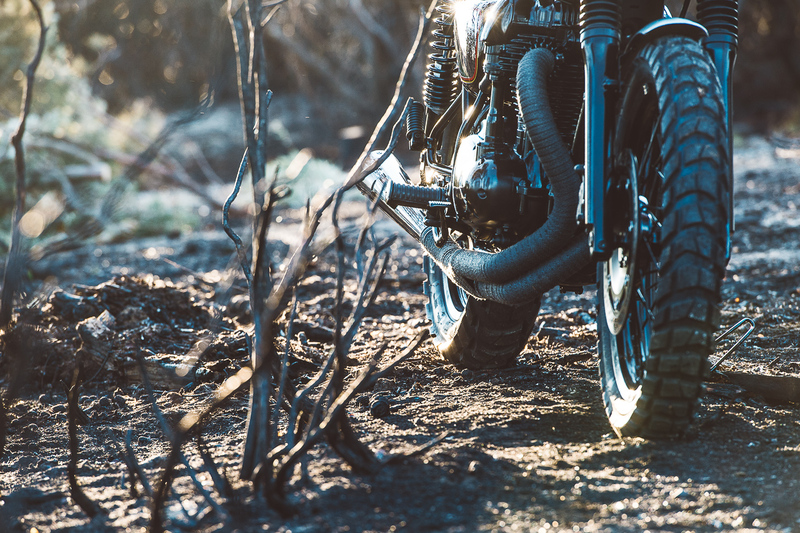 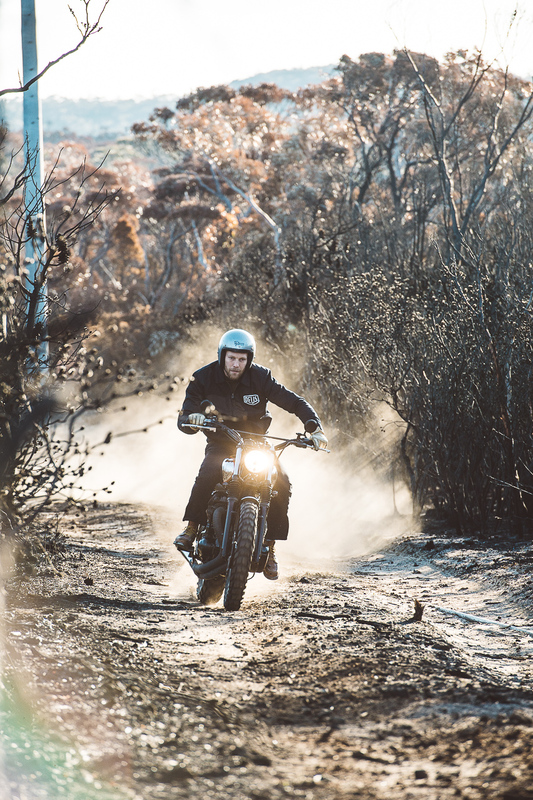 Jeremy Tagand, Head-Chef of the Deus workshop sucked the marrow of the past out of the carcass of the W650 to create a lighter, tastier dirt-tracker with an urban assault feel. 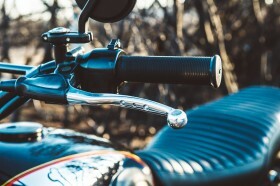 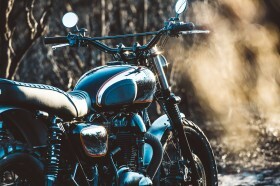 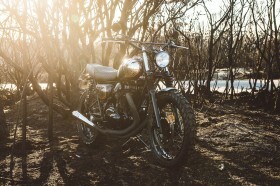 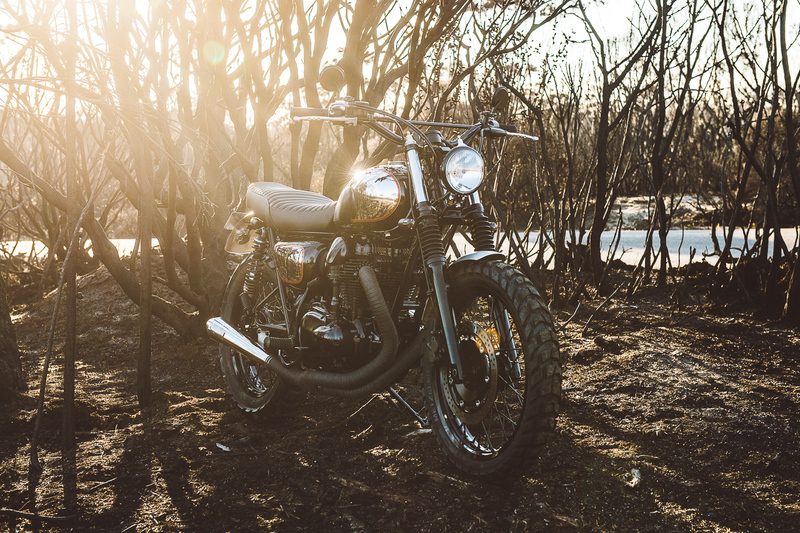 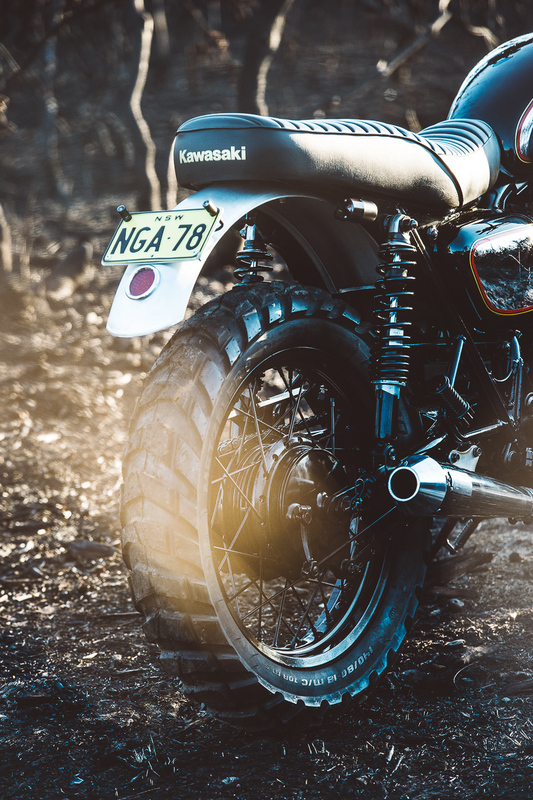 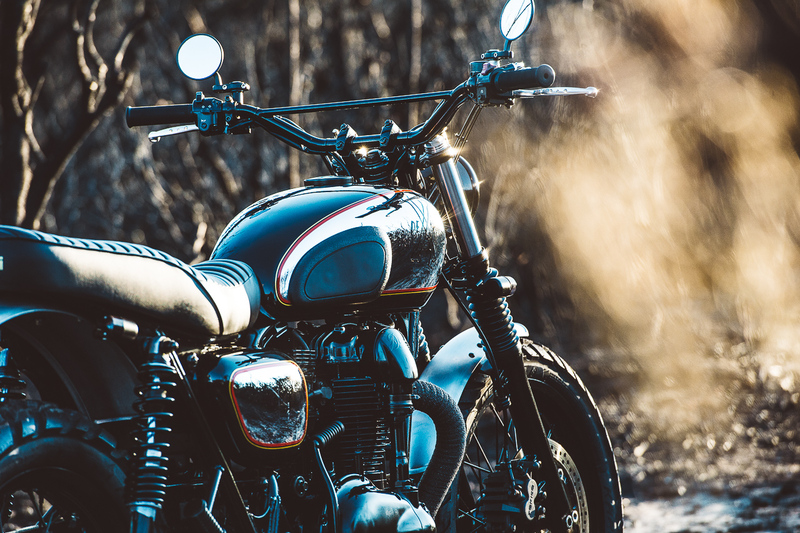 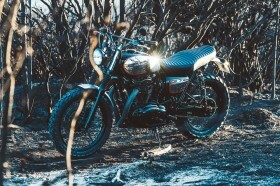 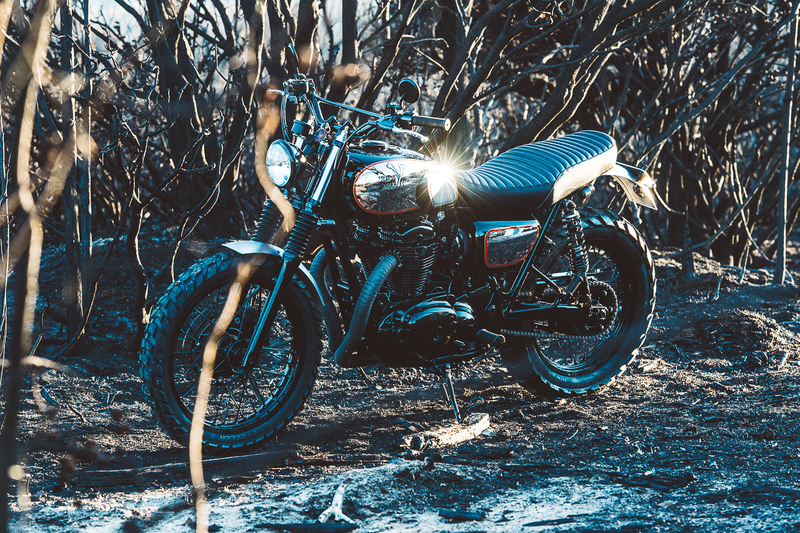 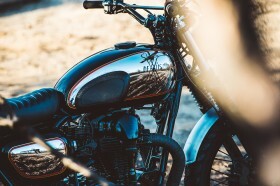 Kawasaki’s W650 has a great reputation for reliability and making itself a more than versatile base for custom work. 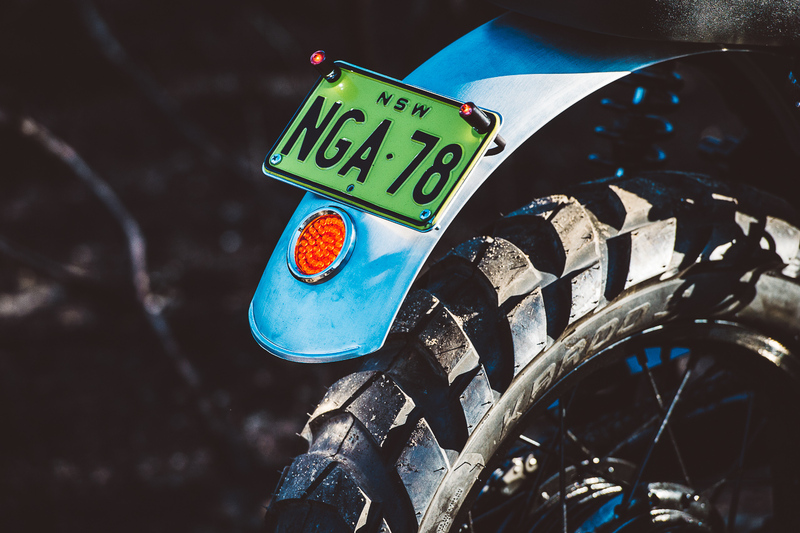 A rich blend of ingredients worked together offer up a once street based rig that is more than capable of heading bush, from raised adjustable suspension to low maintenance black paint and powder coat. 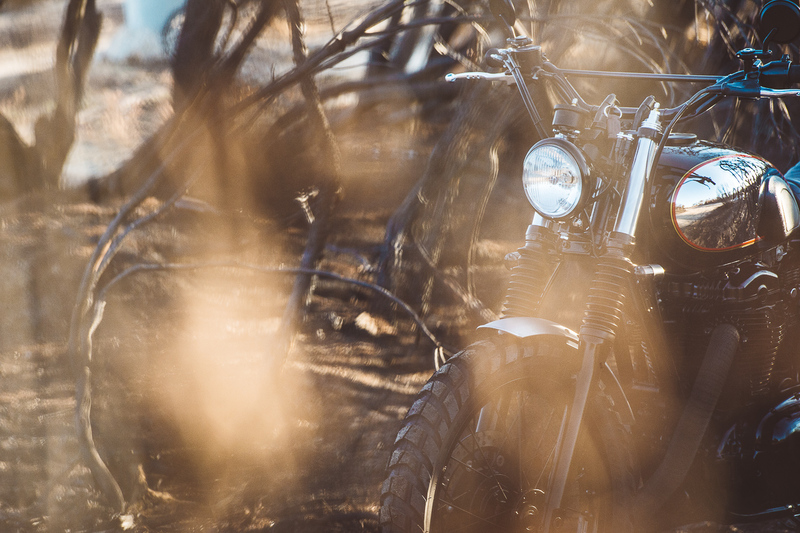 Hose down the weekend’s dirt and this puppy is ready for daily duty on city streets. 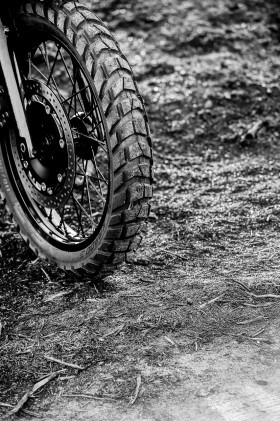 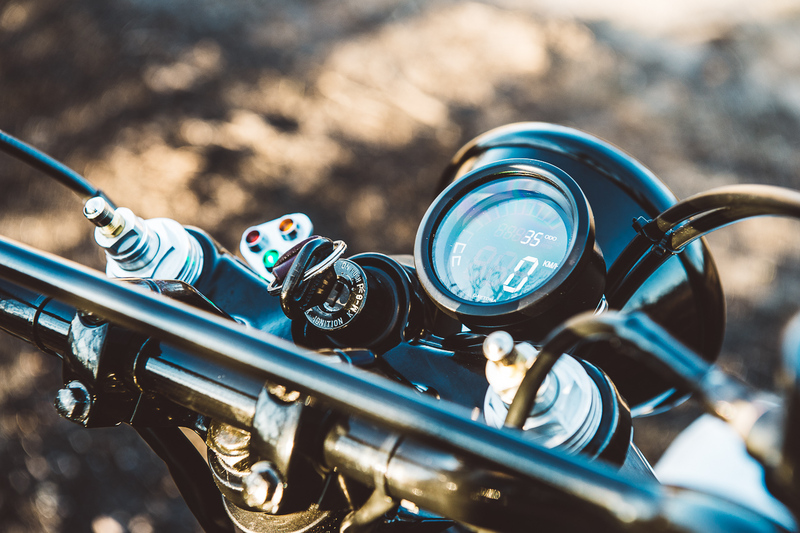 Much lighter than standard, The Wishbones provides excellent response on and off road, assurity maintained via rider input. 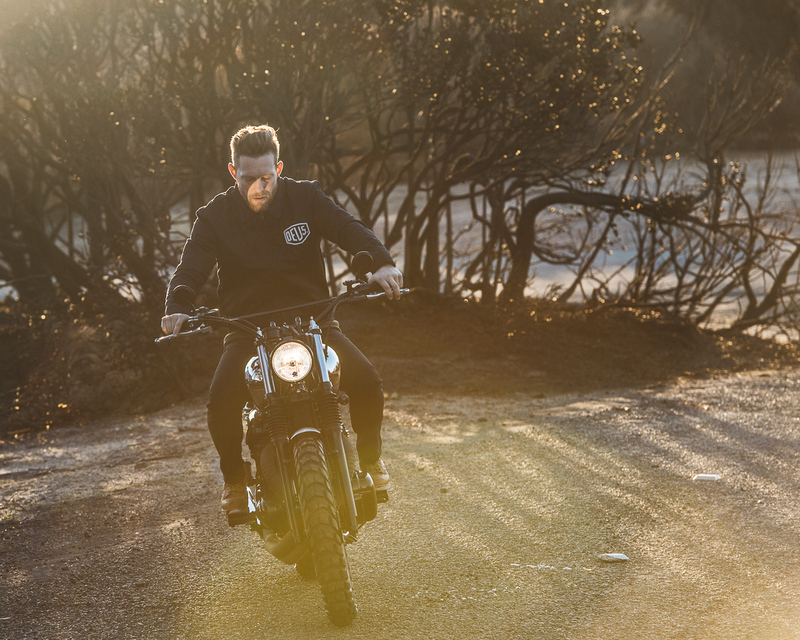 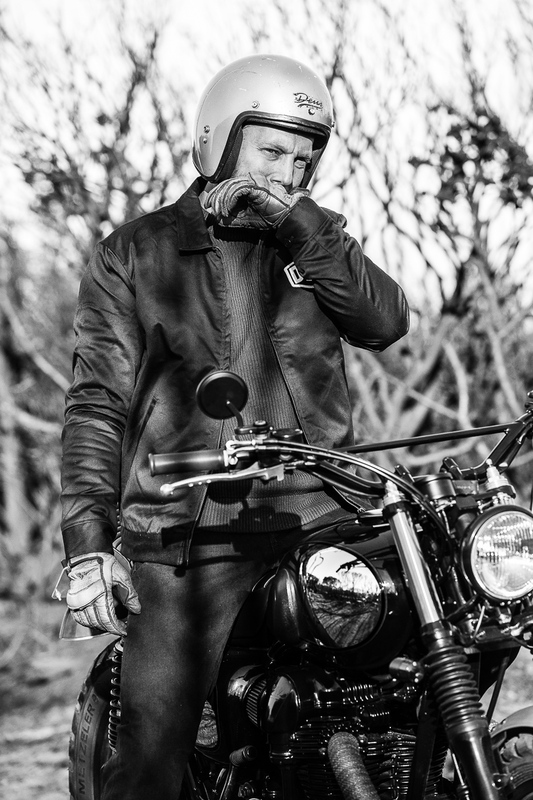 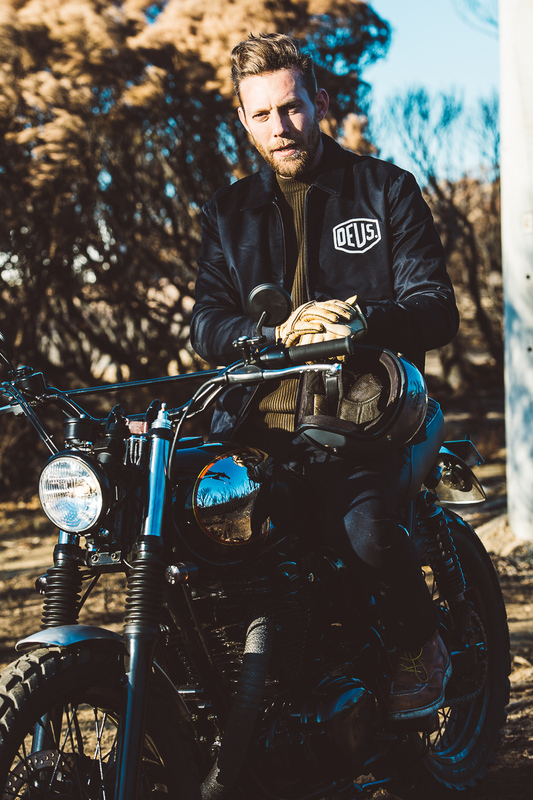 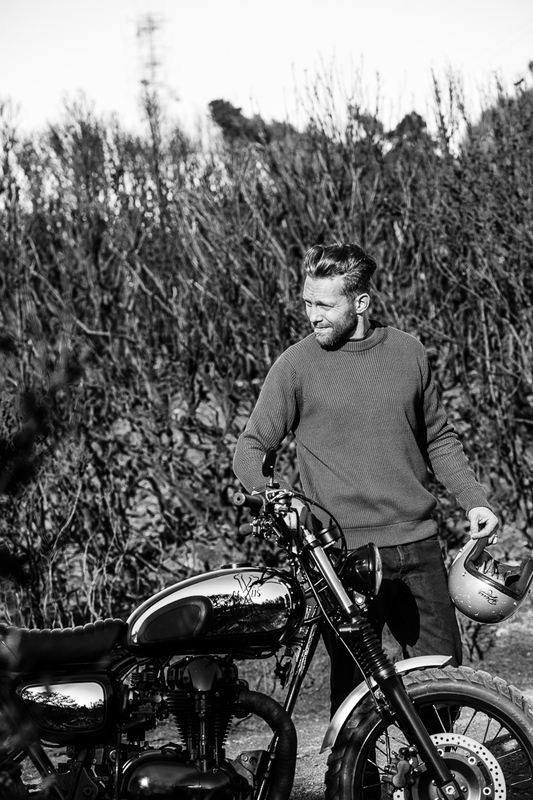 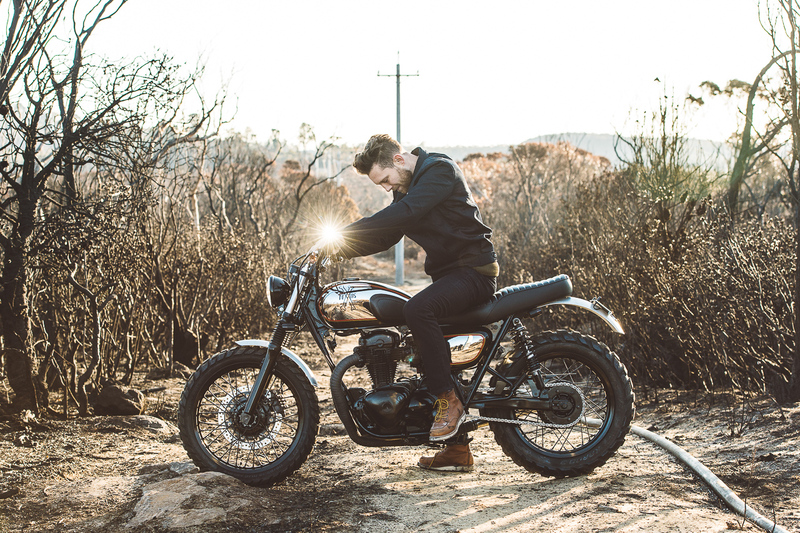 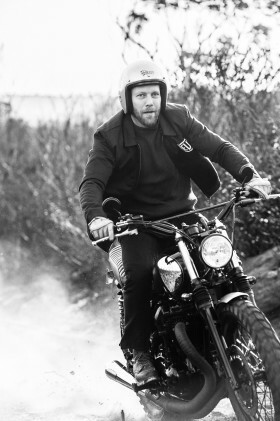 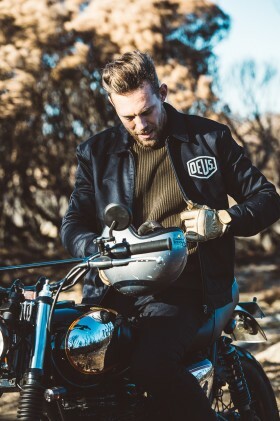 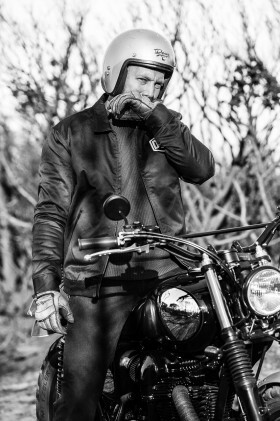 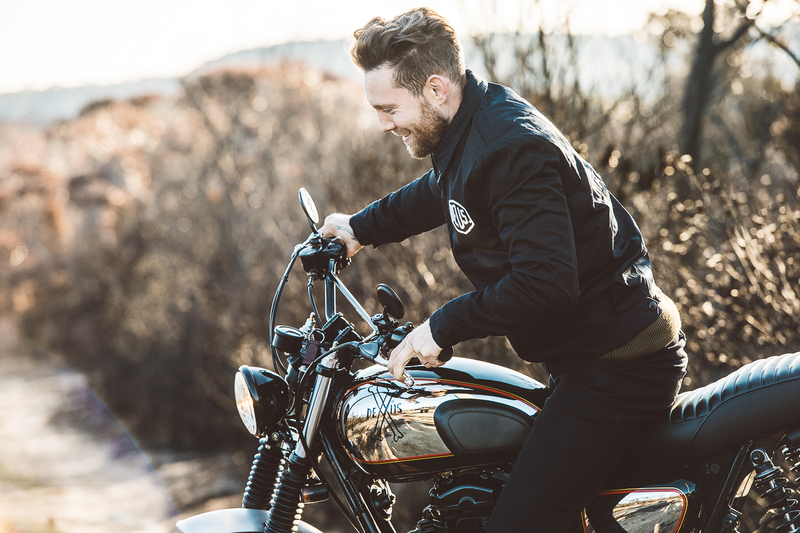 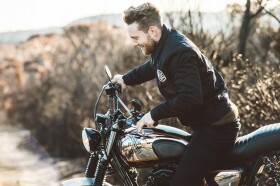 Jez is wearing the Deus LA Workwear jacket, find it here. 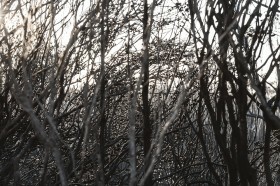 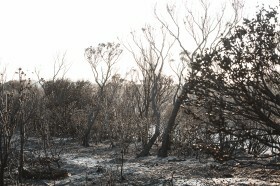 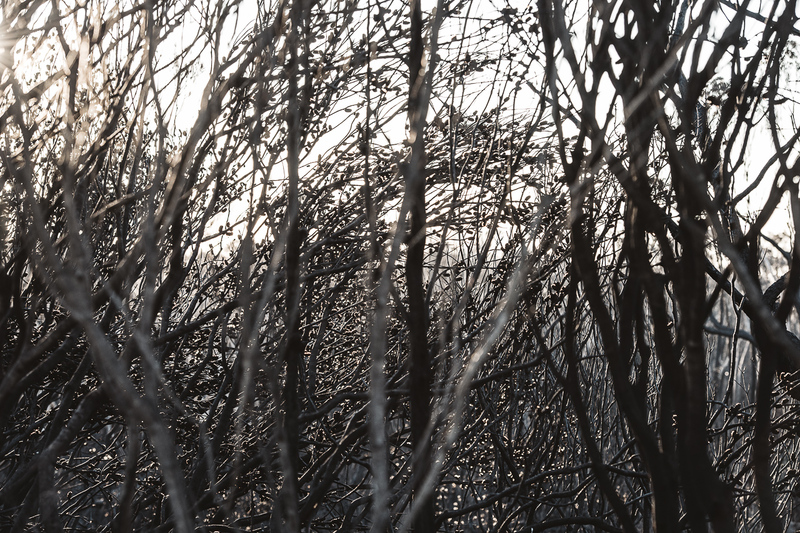 Northern Hemisphere, find it here. Bates style headlight, carving away the bulk for a neat light, powerful enough to cook a chicken. 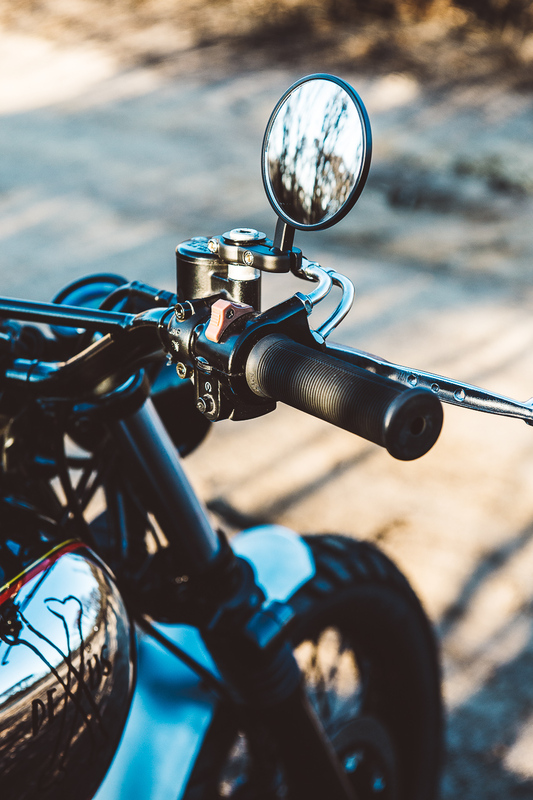 Braided brake line of black offers assurance when reining in the extra grunt of the dyno tuned engine. 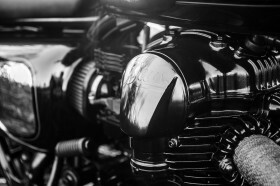 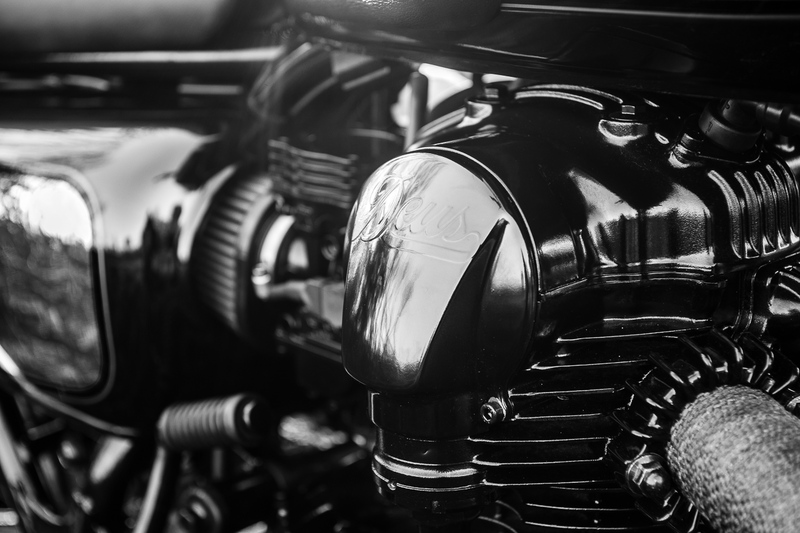 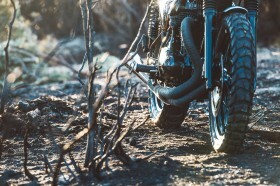 Straight-through custom reverse cone muffler helps amplify Kawasaki’s classic twin. Custom length rear shock units by Ikon, black body, black spring. 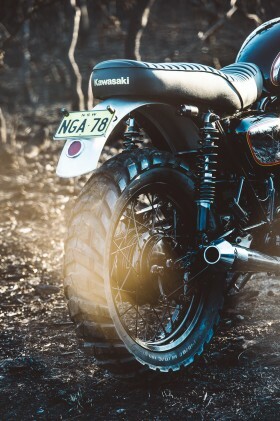 Tank and side covers are flavoured with limited edition factory Kawasaki colour scheme: black with chrome accents.